Looking for a dentist who can place dental implants in Alpharetta? You’ve come to the right place. Dental implants take the place of your missing teeth. They are essentially your new tooth’s root, securely placed in your jawbone for a long lasting fit. Do you know that dental implants are one of the most popular solutions for replacing missing teeth? They are a long lasting solution for an embarrassing problem! Years ago, dentures and partials were the only options patients had when it comes to fixing their missing teeth problem. Nowadays dental implants are commonplace! This is great new for patients who are looking to replace their missing teeth with dental implants. 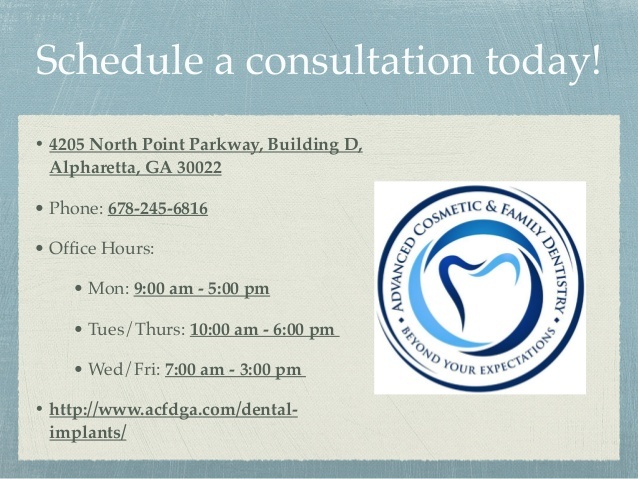 If you live in or around the Alpharetta area, and are considering dental implants, please keep reading! Provide extra support for a loose-fitting dental bridge or denture. Help with the prevention of bone loss. Restore functionality so you can eat, speak, and chew your food with ease and comfort. The procedure is fairly extensive, but well worth the time it takes to replace your missing teeth. Our dental implants dentist, Dr. Brett Silverman, routinely performs this procedure for both existing patients and new patients who are looking for the right dentist. Biocompatible titanium screws will act as the new root of your tooth after they are surgically placed into the jawbone. Some time will need to lapse during a process called osseointegration. This is the time period when the bone fuses with the titanium screws, permitting a tight, long-lasting bond for a solid foundation. After approximately 12-16 weeks, Dr. Silverman will request that you come in to the office for your next appointment. We will take an impression of your teeth to make sure your treatment plan is running smoothly. During this appointment, we will customize the abutment, and create the dental crown (which will be placed on top of the implant). At a subsequent appointment, we will place your permanent crown, ensuring a comfortable, secure fit. If you suffer from dental anxiety or fears of the dentist, don’t worry! Sedation dentistry can help you minimize the anxiety so you can receive the dental care you need and deserve. Years ago, if a patient had an insufficient amount of bone in order to place dental implants, he or she was not able to get them. However, with the advancements in restorative dentistry, Dr. Silverman can perform the bone graft procedure. This will create enough bone in the area of the new implant so that the implant and the bone can fuse securely together. 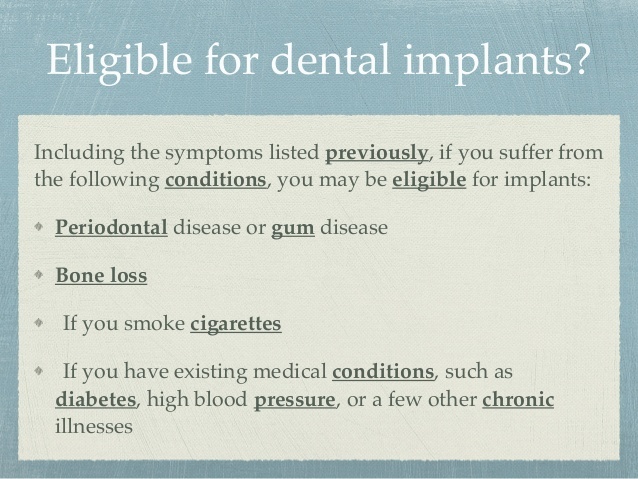 If you have a missing tooth or several missing teeth, dental implants may be right for you. After a thorough examination of your teeth and gums, along with your medical history, our implant dentist in Alpharetta, Dr. Brett Silverman, will determine whether or not dental implants will benefit you. Interested in a dental implants consultation with Dr. Silverman? If you live in or around the Alpharetta area, and think that dental implants may be right for you, we encourage you to contact us here or give us a call today in order to schedule your consultation with Dr. Silverman!